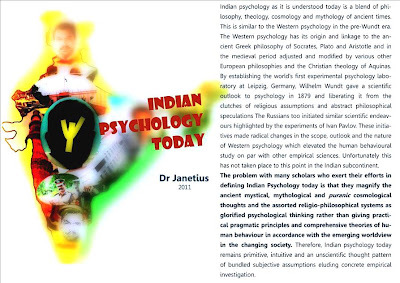 Indian psychology as it is understood today is a blend of philosophy, theology, cosmology and mythology of ancient times. This is similar to the Western psychology in the pre-Wundt era. The Western psychology has its origin and linkage to the ancient Greek philosophy of Socrates, Plato and Aristotle and in the medieval period adjusted and modified by various other European philosophies and the Christian theology of Aquinas. By establishing the world’s first experimental psychology laboratory at Leipzig, Germany, Wilhelm Wundt gave a scientific outlook to psychology in 1879 and liberating it from the clutches of religious assumptions and abstract philosophical speculations The Russians too initiated similar scientific endeavours highlighted by the experiments of Ivan Pavlov. These initiatives made radical changes in the scope, outlook and the nature of Western psychology which elevated the human behavioural study on par with other empirical sciences. Unfortunately this has not taken place to this point in the Indian subcontinent. The problem with many scholars who exert their efforts in defining Indian Psychology today is that they magnify the ancient mystical, mythological and puranic cosmological thoughts and the assorted religio-philosophical systems as glorified psychological thinking rather than giving practical pragmatic principles and comprehensive theories of human behaviour in accordance with the emerging worldview in the changing society. 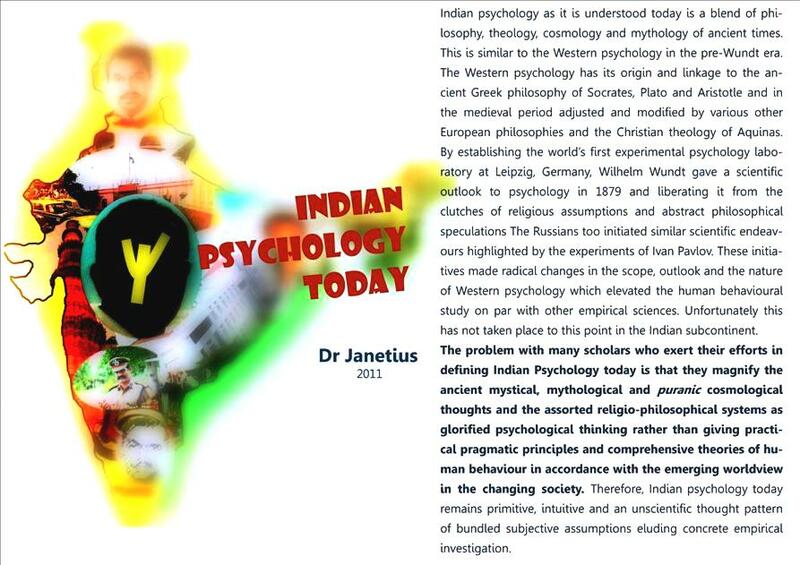 Therefore, Indian psychology today remains primitive, intuitive and an unscientific thought pattern of bundled subjective assumptions eluding concrete empirical investigation.